Originally, the word "klezmer," from the Yiddish language, meant "vessel of song" and later, simply "musician." However, it has come to characterize the style of secular music played by Ashkenazi Jews for joyful celebrations such as weddings. Klezmer can trace its origins back to the 9th century in the Rhine valley, where the Yiddish language also developed. As Jews moved to Eastern Europe their celebratory music wedding/festival music found influence in that of the local cultures, specifically in present day Romania (including a definite cross-pollination with Roma music) and Moldova (once Bessarabia, where klezmer musicians started using Turkish scales already familiar from synagogue observances), Belarus, Lithuania, Russia, Ukraine and Poland, where 19th century, Polish-Russian klezmorim (esteemed klezmer musicians) who had been in Czarist military bands brought brass and woodwind instruments into what had primarily been string-based ensembles. Judaism’s ultra-orthodox Chasidic movement of the 18th and 19th centuries emphasized passionate singing and dancing while in the act of worship and bound klezmer music inextricably to Jewish festivals and joyous observances. Klezmer music draws on centuries-old Jewish traditions and incorporates various sounds of music from European and international traditions, including Roma (gypsy) music, Eastern European folk music (particularly Russian music), French Cafe music and early jazz. In different regions of Eastern and Central Europe, klezmer developed slightly differently, leading to an exciting range of subgenres. Like the Jews, the Roma are an ancient ethnicity that did not originate in Europe; who are believed to have migrated to Persia from northern India from around 420 BC when 10,000 Luri (a caste of musicians and dancers) were brought at the request of the King. On the move with the Turkish army who used them as professional musicians, the Roma dispersed throughout Europe from the 15th century, living on the fringes of society as tinkers, craftsmen and horsetraders, as well as entertainers. Whether dancing with trained bears or playing for a village wedding, Gypsies in the Austro-Hungarian empire made themselves indispensable as performers to villages of various ethnicities (Saxons, Vlachs, Magyar and Moldavians, etc., to name just the groups of Transylvania). Also like the Jews, the Roma were a separate minority group generally living on the margins of the societies of the countries in which they lived. Both groups maintained distinct cultural identities despite being widely scattered, possessed no country or homeland of their own, and were frequent targets of expulsions, discrimination, and persecution. Like klezmer, Roma music is likely traditional religious songs combined with the music of host countries, and influenced by Roma status as a wandering and often marginalized minority. Despite of all this, the music of both groups is often joyful and exemplifies the energy and fire of life and of living. 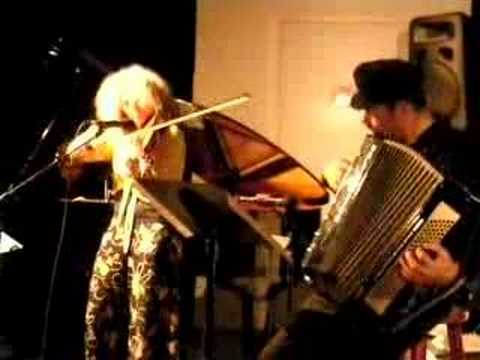 Klezmer music is intended to replicate the human voice including sounds of crying, wailing and laughing. 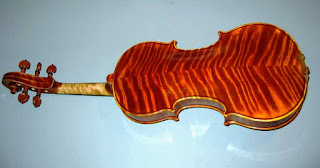 Generally, the violin is responsible for the imitation which is mean to sound like the cantor in a synagogue. 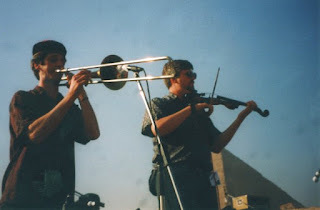 Often, a klezmer band will include a fiddle, a bass or cello, a clarinet and a drum. Secondary instruments include hammered dulcimers and an accordion. 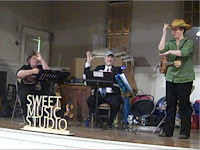 Klezmer music is made for dancing. 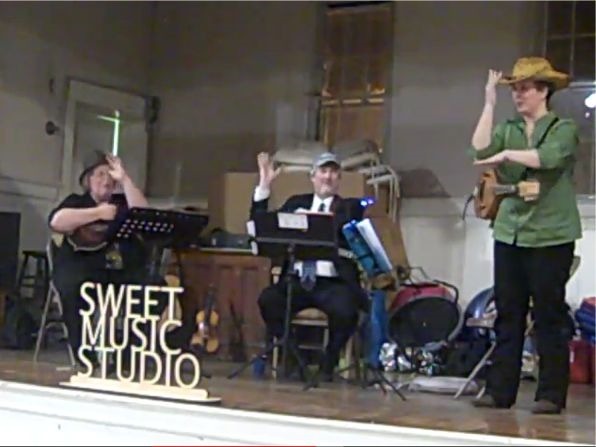 Most dances which are intended to go along with klezmer music are set dances (much like the Anglo square or contra dances). 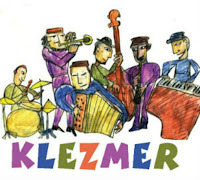 Klezmer music also has many traditional waltzes and polkas, and in later years, musicians picked up some tangos and polkas which remain in the repertoire. Freylekhs are the most popular klezmer dances and they are done in a circle while the piano, accordion or bass plays an "oom-pah" beat. "Freylekh" is the Yiddish word for "festive." Skotshne, meaning hopping, is like a more complex freylekh. Tango is a famous dance that came out of Argentina; Jews originally composed quite a few Eastern European tangos. Sher: This is a set dance, one of the most common, done in 2/4 tempo. The name is derived from the straight-legged, quick movements of the legs, reminiscent of the shears used by tailors. Halaka is a traditional Israeli dance the originated in Safed in Galilee; its tune has been handed down through generations. Khosidl, or khusidl, is named after the Hasidic Jews who performed the dance which can be done in a circle or in a line. Sirba is comprised of hopping and short bursts of running. Hora or zhok is a Romanian-style dance; the Israeli hora is derived from the Romanian hora. "Zhok" in Yiddish comes from the Romanian word "joc" which means dance. Padespan is a kind of Russian/Spanish waltz.and then the speed quickens. Kolomeike is a quick and catchy dance which comes from Ukraine where it is the most common folk music. Mazurka and polka are from Poland and Czechoslovakia. Both Jew and non-Jews engaged in the dance. Terkish is like the habanera. What is Gypsy Music? It should be noted that the word ‘gypsy' often has a negative connotation, and the Romani people would never use this term to refer to themselves. Therefore it is preferable to refer to them as they refer to themselves, as ‘Roma'. Which Came First Klezmer or Canonical "Church" Modes? The $35/30 Minute Mandolin Lesson Program is available again this spring. Class times available are Tuesdays - Fridays 8am-8:30am, 8:30am-9am, 9am-9:30am, 9:30am-10am, 10-10:30am, 10:30am-11am. All ages welcome! Lessons are available in person here at the studio in Granby, MA or online using Skype or Hangouts. I accept PayPal for remote lessons, and cash for in-person lessons. Sorry, no checks! Beginning students will learn the basics: music theory and how to read music, how to count, meter and rhythm, keys and chords; how to hold the instrument and pick (or bow for violin players); how to practice scales, arpeggios and exercises; how to play basic melodies. At some point, usually within a few weeks, beginning students may be ready for more advanced material which will be assigned at that time. Beginning students may be eligible for either the Music for Beginners' Group Class (Wednesdays at 7pm), or Fiddle is Fun, a group for people that want to learn how to play the fiddle together. Advanced students that can already read and understand the basics of their instrument will study more advanced theory including the modes, advanced timing and rhythm, advanced chords, harmonization, improvisation, and will be introduced to a wide variety of music depending on the genre and style they have chosen to study. For example, Classical musicians will be exposed to a variety of composers from the Renaissance Era up to the Romantic Era and everything in between. 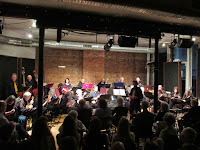 Folk musicians will be exposed to a wide variety of western European traditional dance music styles including Celtic, Quebecois and Cape Breton music as well as American styles such as Bluegrass, Country, Western Swing, Jazz, Blues, and more. Advanced students may be eligible for either the Classical Group Class (Tuesdays at 7pm), the Celtic Group (Thursdays 7-9pm) or the Bluegrass Group (Fridays 7-9pm). Some advanced players may want to play in all three. There is a $5 discount per class for students that wish to join more than one as long as they attend on a weekly basis. The discount does not apply for one-offs or trial periods. 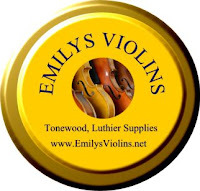 Emily's Violins was an import/export company that specialized in luthier supplies, including horse tail hair for bows; ebony, rosewood and boxwood for fittings; tonewood for violin and cello makers; tools and hide glue. While we still inventory some of the items and have maintained contacts among suppliers, the internet generally and Alibaba.com specifically have veritably destroyed our online business. Emily appreciates your patronage and thanks you for over a decade of business. In person at my studio in Granby: Private lessons in Granby are sixty (60) minutes per week for adults, and 30 minutes per week for children under 9. For children over 9 I offer a 40-45 minute lesson (depending on their readiness). online using Google Hangouts: Online lessons are held through Google Hangouts (you will need a laptop with a webcam, or a separate webcam with a good microphone on your desktop computer). or for an extra fee, in the comfort of your home or office. NOTE: I wrote a blog recently about what private lessons are like. Read it here Read and understand my Policies before coming for your first class. You’ve probably heard a lot about Slack - the messaging app that almost every workplace seems to be using. If you're a member of the Sweet Music Studio, you should have received an invitation to join the studio Slack. If you have not, click here and request an invitation. Slack is essentially a chat room for your whole team, designed to replace email as your primary method of communication and sharing. Its workspaces allow you to organize communications by channels for group discussions and allows for private messages to share information, files, and more all in one place. Plus, Slack integrates with a host of other apps so you can manage your entire workflow through one platform. Slack allows businesses, communities, and other organizations to create a private, dedicated workspace complete with a custom URL. After a simple signup process, you’ll be able to invite your team to join and start getting work done. For small to medium-sized teams, you’ll likely need just one workspace organized by public and private channels to meet all your needs, but Slack also has features to help enterprises manage multiple workspaces if that makes more sense (more on that below). Slack messaging is grouped into channels and direct messages to organize conversations and replace communications that might otherwise be scattered across emails, text messages, or in person meetings. Public channels are open to all members of a workspace and can cover everything from different marketing and sales operations to random discussions and streams of memes (if you’re company likes to have as much fun as we do). You can also create Private channels in Slack to help break down large teams into their relevant working groups or restrict sensitive conversations or work materials to relevant team members. And Slack allows private messages, sent directly to other team members, so you can have one-off communications or keep things organized between you and specific members of your team. Integration with third-party services is one of Slack’s most powerful features. These let you use some of your favorite apps right within Slack - so you don’t have to keep switching tabs, remember where that shared link went to, or open up another application just to quickly double check something. The type of pick you use affects how you play and the tone you create. 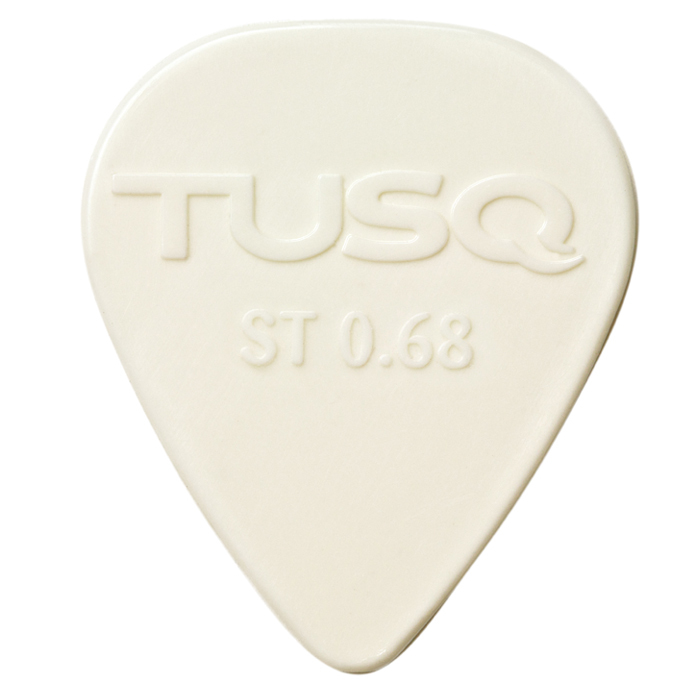 That's why we created TUSQ picks, the world's first and only pick with 3 distinct levels of harmonics. By formulating our proprietary material, we created a whole new class of picks, with highly resonant characteristics that produce three distinctive tones: Bright, Warm and Deep. TUSQ picks have a feel and articulation like no other picks on the market, very reminiscent of vintage tortoise shell, crisp tone, and thin, yet stiff. White is Bright, when you want your tone clean, clear, precise and rich in harmonic content. The type of pick you use affects how you play and the tone you create. 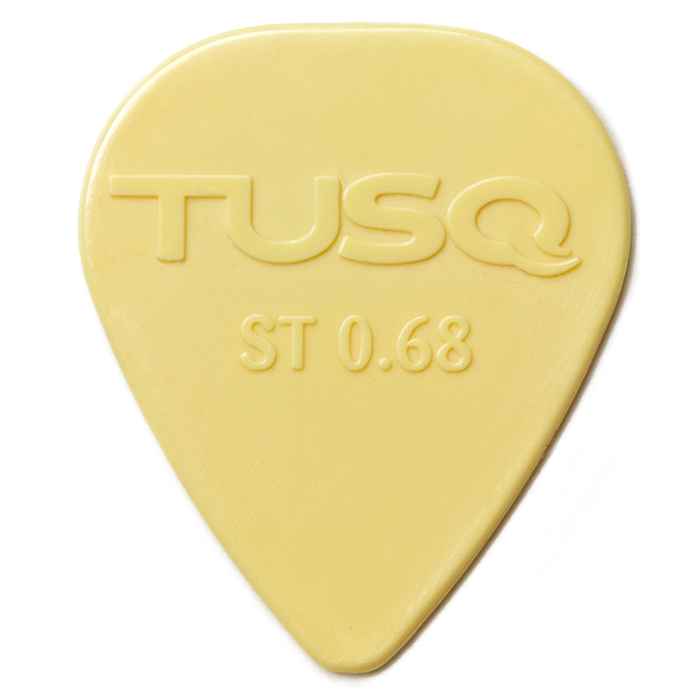 That's why we created TUSQ picks, the world's first and only pick with 3 distinct levels of harmonics. By formulating our proprietary material, we created a whole new class of picks, with highly resonant characteristics that produce three distinctive tones: Bright, Warm and Deep. TUSQ picks have a feel and articulation like no other picks on the market, very reminiscent of vintage tortoise shell, crisp tone, and thin, yet stiff. TUSQ charcoal colored picks go Deep to give you a smooth, very warm feel and tone. World famous and popular due to their amazing sound characteristics with extremely long durability. 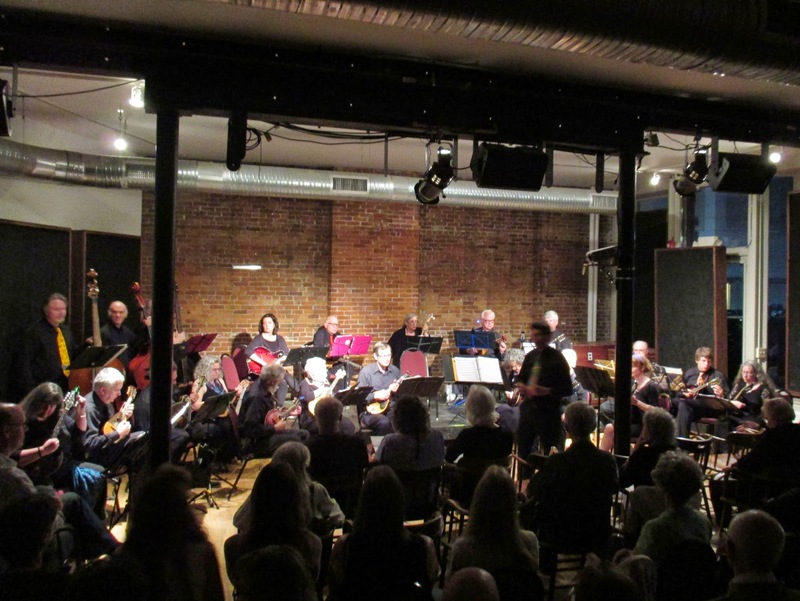 Countless orchestras play our STRINGS CHROME and express its excellent quality every day. Years of development, the right selection of the best materials, and especially the exclusive handwork during the production of the string are its secret. Finely polished, they offer an inimitable feel combined with the best sound. These strings are available with ball as Ball-End version with a 10% surcharge. The CHROME SPECIAL STRINGS are a further development of our CHROME STRINGS. The use of slightly modified alloys and the special polishing which was developed only for this set, create a set of strings that emphasizes the mandolin sound even much better. A top quality product „Made in Germany“. These strings are available with ball as Ball End version with a 10% surcharge. 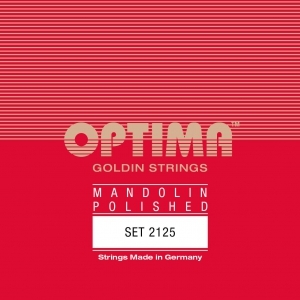 The OPTIMA SILVER STRINGS for mandolin convince mainly with the sound of the silver plated D and G strings and have a traditional posy (Sträußchen) at the string end. This string is suitable for beginners, but also for advanced students and professionals. These strings are available with ball as Ball End version with a 10% surcharge. GOLDIN STRINGS are characterized by a selection of the finest materials. The D and G strings are wound with Tombak and finely polished. Years of development, the right selection of the best materials and especially the exclusive handwork during the production of this string are here the secret, too. These strings are available with ball as Ball-End version with a 10% surcharge. A mandolin (Italian: mandolino pronounced [mandoˈliːno]; literally "small mandola") is a stringed musical instrument in the lute family and is usually plucked with a plectrum or "pick". It commonly has four courses of doubled metal strings tuned in unison (8 strings), although five (10 strings) and six (12 strings) course versions also exist. The courses are normally tuned in a succession of perfect fifths. It is the soprano member of a family that includes the mandola, octave mandolin, mandocello and mandobass. There are many styles of mandolin, but three are common, the Neapolitan or round-backed mandolin, the carved-top mandolin and the flat-backed mandolin. The round-back has a deep bottom, constructed of strips of wood, glued together into a bowl. The carved-top or arch-top mandolin has a much shallower, arched back, and an arched top—both carved out of wood. The flat-backed mandolin uses thin sheets of wood for the body, braced on the inside for strength in a similar manner to a guitar. Each style of instrument has its own sound quality and is associated with particular forms of music. Neapolitan mandolins feature prominently in European classical music and traditional music. Carved-top instruments are common in American folk music and bluegrass music. Flat-backed instruments are commonly used in Irish, British and Brazilian folk music. Some modern Brazilian instruments feature an extra fifth course tuned a fifth lower than the standard fourth course. 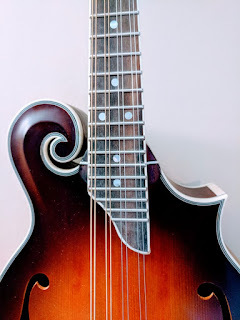 Other mandolin varieties differ primarily in the number of strings and include four-string models (tuned in fifths) such as the Brescian and Cremonese, six-string types (tuned in fourths) such as the Milanese, Lombard and the Sicilian and 6 course instruments of 12 strings (two strings per course) such as the Genoese.There has also been a twelve-string (three strings per course) type and an instrument with sixteen-strings (four strings per course). Much of mandolin development revolved around the soundboard (the top). Pre-mandolin instruments were quiet instruments, strung with as many as six courses of gut strings, and were plucked with the fingers or with a quill. However, modern instruments are louder—using four courses of metal strings, which exert more pressure than the gut strings. The modern soundboard is designed to withstand the pressure of metal strings that would break earlier instruments. The soundboard comes in many shapes—but generally round or teardrop-shaped, sometimes with scrolls or other projections. There is usually one or more sound holes in the soundboard, either round, oval, or shaped like a calligraphic f (f-hole). A round or oval sound hole may be covered or bordered with decorative rosettes or purfling. I have started an online mandolin lesson series offered for free on my Youtube channel. If you like what you have learned and want to support me, you can send me a donation through my PayPal channel, or my Patreon. Lesson I can be found here, Lesson 2 here. Thank you!